KLS has always been customer driven and quality focused. This fact is confirmed by numerous independent industry surveys. Continuous improvement and ongoing statistical analysis of processes have always been integral to KLS's approach to business. Our Goal: To consistently meet or exceed our customers' expectations. Quality Systems Registrars, accredited by the RAB, initially certified KLS to ISO standards in March of 2013.10. Our systems and compliance to the standards have been, and continue to be, regularly reviewed and tested to maintain continuous conformance. All operations at KLS are ISO certified, including order entry, customer service, receiving, picking, shipping, purchasing and inventory. The approach that KLS has taken with regard to quality is clearly more comprehensive than is typical of our industry. ISO registration gives you assurance that KLS's systems are accurate, comprehensive and conform to the rigorous requirements of the ISO standard. 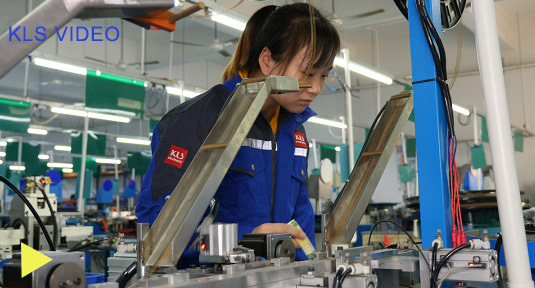 These requirements ensure KLS's long-term commitment to continuous improvements.